Selling a problem home can be just that - a problem! Hopefully you'll never know what it's like to have a problem home on your hands. Even having a relative who has to sell a problem home in the Fox Cities or anywhere else can be stressful, let alone doing it yourself. But there is hope! When shopping for a new home, we all know there are TONS of factors to take into consideration. But let's concentrate on a phrase that has become so common it's almost comical. What's that, you ask? Location Location, Location! Remember, you want to make it as easy as possible for buyers to envision your living space as their own, so don’t impose your family’s vacation photos and children’s artwork on them. Take down those bowling and hunting trophies — save them for your next home. How NOT to get your house sold fast! 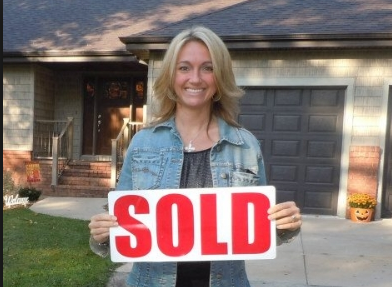 Want to know how NOT to get your house sold fast? Read on! Finding a realtor anywhere can be a daunting task. Why is this? Shouldn’t it be easy to just call somebody up on the phone, tell them you want to sell your house, and wash your hands of it until it’s a done deal? Well, in a perfect world, maybe! But just like a business owner hiring employees, you need to remember that the realtor you choose to work with will be representing you in your quest to sell, in this case your house. It's a big task!